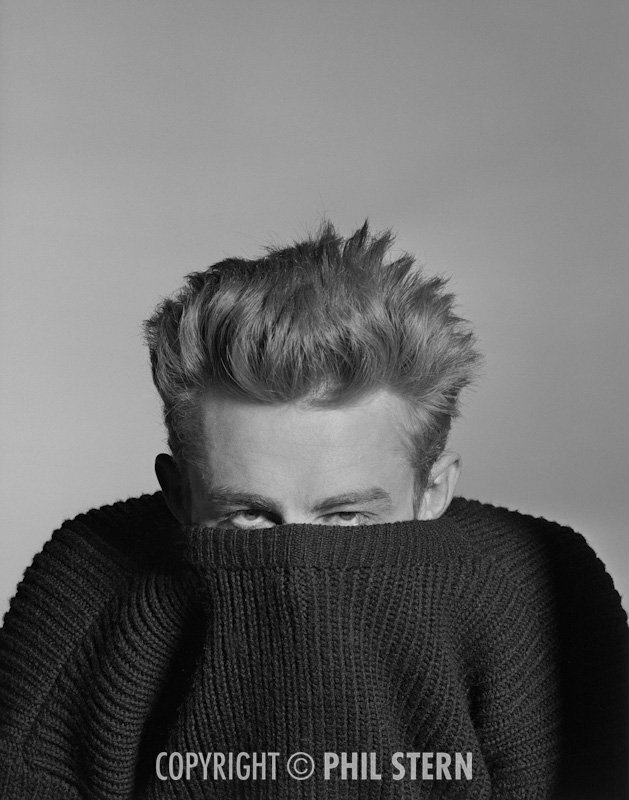 Most remembered for his portraits of Marilyn Monroe and James Dean, Phil Stern’s subjects ranged from soldiers on the warfront to starlets of Hollywood. 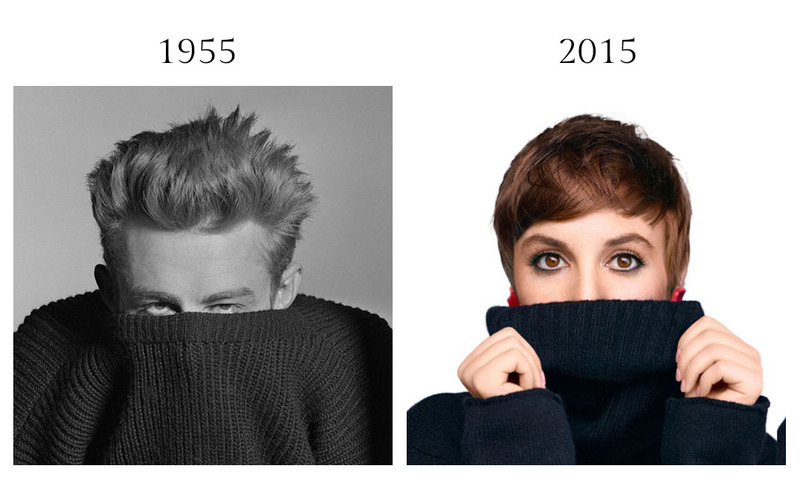 The year of the Dean’s premature death, Stern photographed the actor peeking out of his sweater, perhaps suggesting Dean’s enigmatic persona. 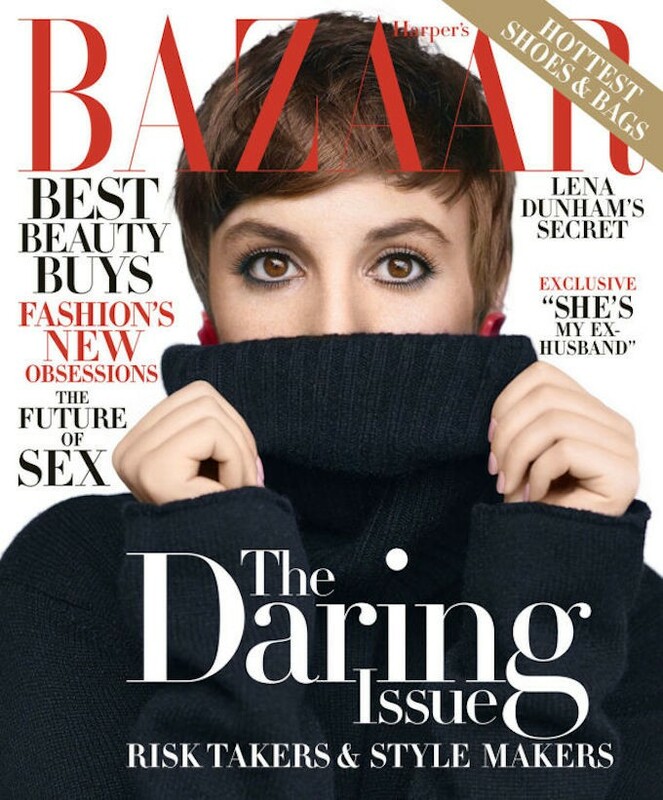 Harper’s Bazaar’s November 2015 cover, which evokes Stern’s 1955 portrait, featured the partially concealed face of Lena Dunham photographed by Nathaniel Goldberg.